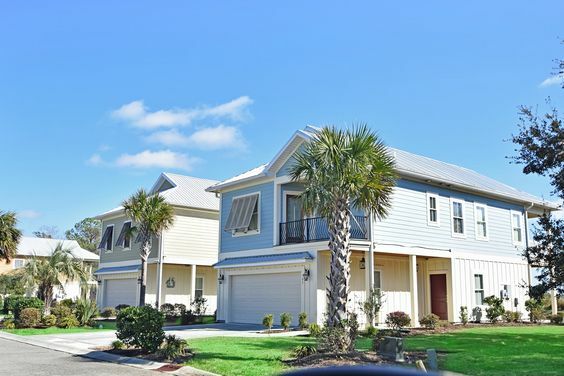 Hammock Pointe is one of Murrells Inlet's newest communities that offers residents the benefit of the excitement of the Grand Strand while still being just separated enough from Myrtle Beach to avoid most of the traffic. 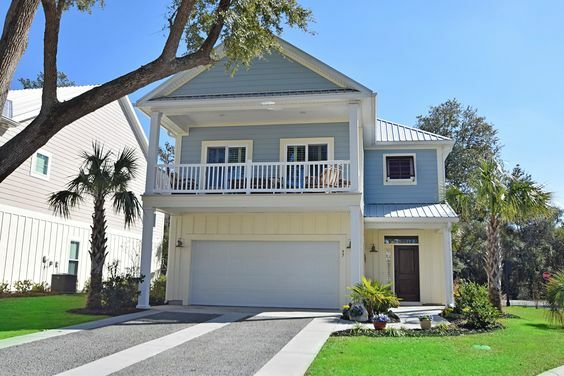 Murrells Inlet is known for its seafood, but its real estate market is the real gem. Hammock Pointe is close to the town's famed Marshwalk and is a beach-lover's oasis. Read more about Hammock Pointe real estate. Whether a buyer is seeking to retire to the coast or to raise a family here, Hammock Point has options for everyone. With only just over thirty home sites, homeowners can be assured a quiet, relaxing lifestyle. 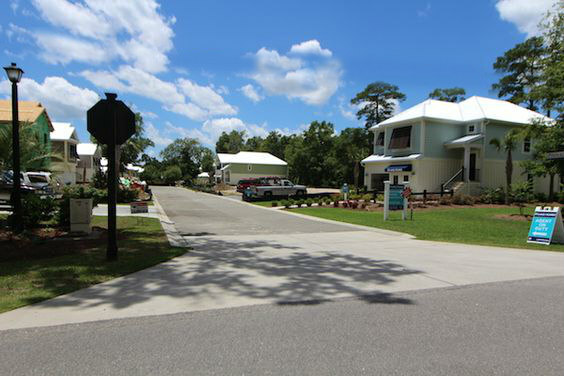 There are four home plans offered at Hammock Pointe, ranging in size from just under 2,000 sq. ft. to slightly more than 2,500 sq. ft.
Each home at Hammock Pointe is raised, as to combat any adverse weather that may be experienced. The residences boast bright, beach-y colors that give the desired vibe to those who want to feel as though theyíre living the island life. Listings begin at around $315K and top out at about $350K. These affordable estates come well-equipped with modern features, such as tall ceilings, ecofriendly appliances and ownersí choice of flooring. Hammock Pointe benefits from being just off of Ocean Hwy., making every possible business and attraction easily accessible to its residents. Murrells Inlet is a charming town that has that true, low country feel, which has been preserved to set it apart from the glitz and glam of Myrtle Beach. However, when the desire to be entertained strikes, a quick cruise up Hwy. 17 puts Hammock Pointe homeowners in the vicinity of hundreds of restaurants, shops and shows.